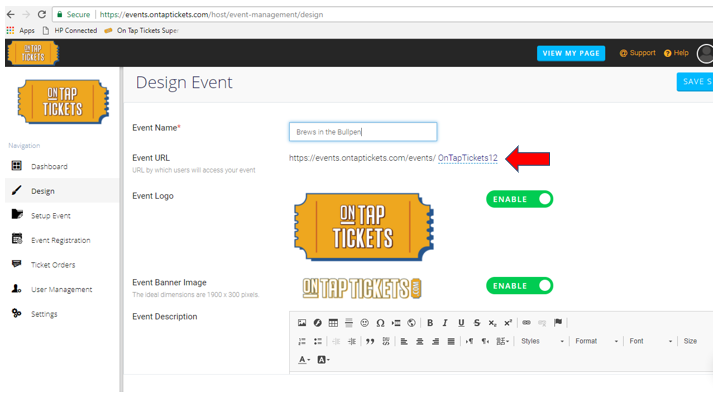 The Design section of your account is where you can name your event, create the event description, add your event logo & optional banner design, and even customize the event URL. Below are many of the most common questions related to this area. I. How to customize your event logo. II. 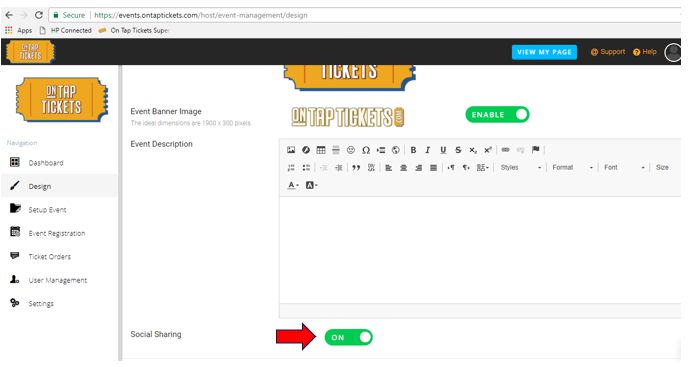 How to customize you event URL. III. How to customize your event banner. ​You can customize the event banner to give your event page even more branding power, if you'd like. Simply hover over the default banner design to upload your own. The ideal size of that banner image should be 1900 x 300. 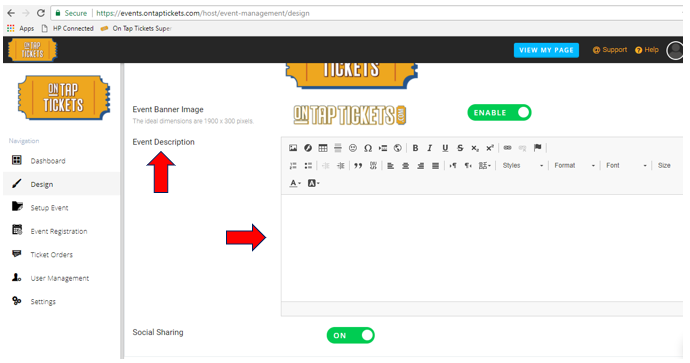 The first screenshot below shows where to make this change, the second screenshot shows you the banner area on your actual event page that you would be changing. *Most event organizers don't change the banner image, but it's a great option to have for those interested. IV. How to create and/or edit your event description.